Just as pilots using Chicago Waukegan Airport (UGN) await news of when the airport’s 6,000-foot Runway 5/23 might be extended to 7,000 feet–a more comfortable length for jet operations–comes word that the usable runway length might actually be reduced if various government entities cannot work together. According to Waukegan Port District executive director Duncan Henderson, the FAA has said it does not have the money to meet the Lake County Forest Preserve District’s price demands for the land onto which the runway would be extended. Until the other day, I thought a troll was one of those horrid little creatures living under bridges just waiting for the chance to reach up and scare the dickens out of some little kid. But low and behold, as a reader told me, a troll in the Internet age is someone who grabs hold of a blog or website conversation and steers it to suit their motivation, sometimes a specific end result in mind, other times just to make sure either side in the story gets too cozy lest the troll’s influence diminishes. Now that I know about these little demons think I’m starting to see them everywhere. We had an interesting discussion about the European Emissions Scheme on the Airplane Geeks Show a few weeks back. The plan demands any aircraft – airliner or business jet – entering EU airspace take part in that region’s effort to reduce aviation’s carbon footprint … a save the planet effort that’s pretty tough to refute on the surface, whether you believe humans created the problem or not. That was the point of the AG discussion actually at least, not the good or bad of the tax (which doesn’t make much sense), but a good old “Save the Planet” chat. I said saving the planet was a good idea and I thought the EU had trumped the U.S. in starting a debate no one on either side of the Atlantic seemed to be having … and still isn’t for the most part. Everyone’s gotten focused on the tax. We were talking about clean air. How the chat evolved into “profiteering parasites” escaped me. Then there was an Air France 447 discussion on LinkedIn. I made a comment about the oddity of some of that captain’s behavior in the last few minutes of the flight and was quickly whacked by a couple of folks with “real credentials,” or so they said, one of them a NY Times contributor. I didn’t have another opinion, I had a stupid opinion there. Then there was a discussion about media that someone hijacked on our alumni listserv. And remember when the Big Three dumped their business airplanes a few years ago after someone outed them in public about actually using the airplanes for business? Same thing … people trying to steer the discussion in a direction they wanted, not really concerned about the discussion itself. I didn’t simply have a different opinion in all these places … I had the wrong one. You know what happens when some man or woman gets jumped on in one of these forums … they defend themselves for a bit but finally just say, “screw it,” and leaves. And who’d blame them? And the trolls who often represent some minority opinion win by default. I used to think that social media was all about having the conversation. OK, so I’m a little naive, because I’m still amazed at how many people still work hard to polarize these discussions for profit or personal gain. Problem is that when any of us back off and the trolls take over, it leaves the NBAAs, the AOPAs, the GAACs & the EAAs of the globe to do all the dirty work. Sometimes they succeed and sometimes not. Now comes the latest threat, not simply aviation, but America … sequestration. Thanks to the trolls, none of the folks on either side of the Congressional aisle could decide on efficient ways to cut the budget, so come the first of the year, Draconian cuts will automatically take affect in place of real negotiations. Those are going to hurt all of us … badly. 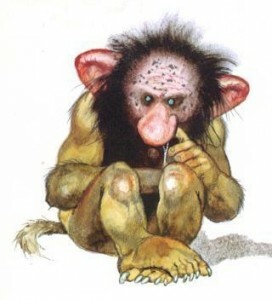 In a way though, we’ve created this mess ourselves … us and the trolls of course. But how did we Republicans, Democrats, Independents and any other party I missed, devolve from discussions that lead to everyone getting some of what they needed, to groups of men and women everywhere standing around with their arms crossed staring each other down trying to prove they’re right? And no one in DC seems to care that we’re not getting anywhere … not in government, not in aviation, the environment … the list is endless. We have to neutralize these critters before they wreck everything we’ve all worked hard to build. This time I think it needs to begin at the top. But then it already has in a way when we amended the Constitution in 1947 that held an incumbent President of the U.S. to only two terms at their job. Good or bad, when their time is up, they’re out. But isn’t it funny how that kind of restriction doesn’t appear in Congress? And in Congress we all tippy-toe around these elected officials, scared to death of what might happen if we make them angry. Perhaps you feel different about this. Differing opinions are welcome of course, but please, no trolls … OK?